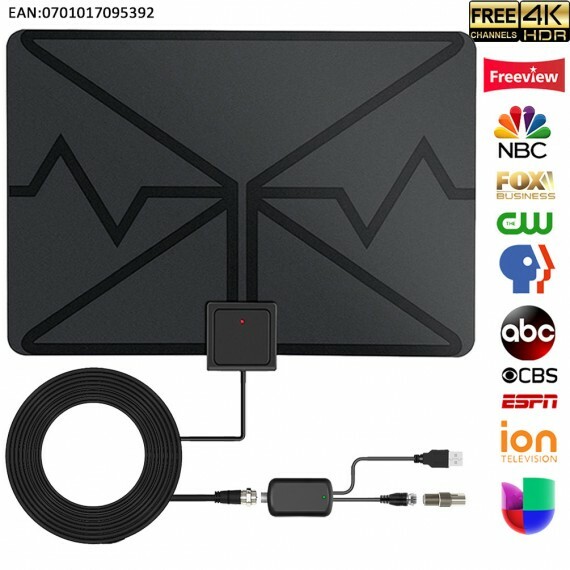 Cut the cable and choose our digital antenna,get access to HD programs forever including local news, weather forecast and sitcoms,kids and sports programs,etc. 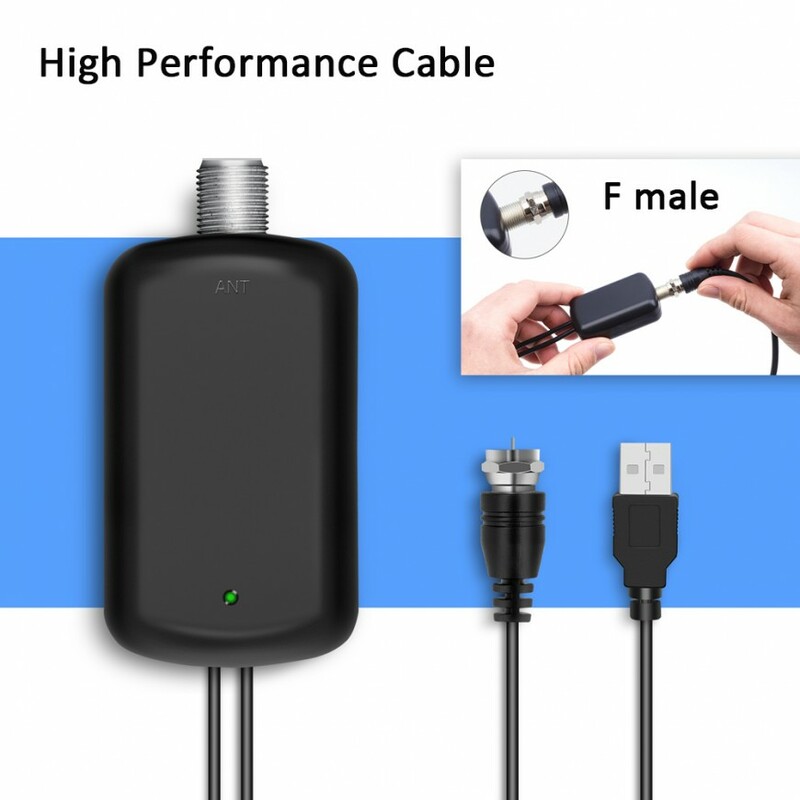 Enjoy crystal clear HDTV shows,720p,1080i,1080p|ATSC available. 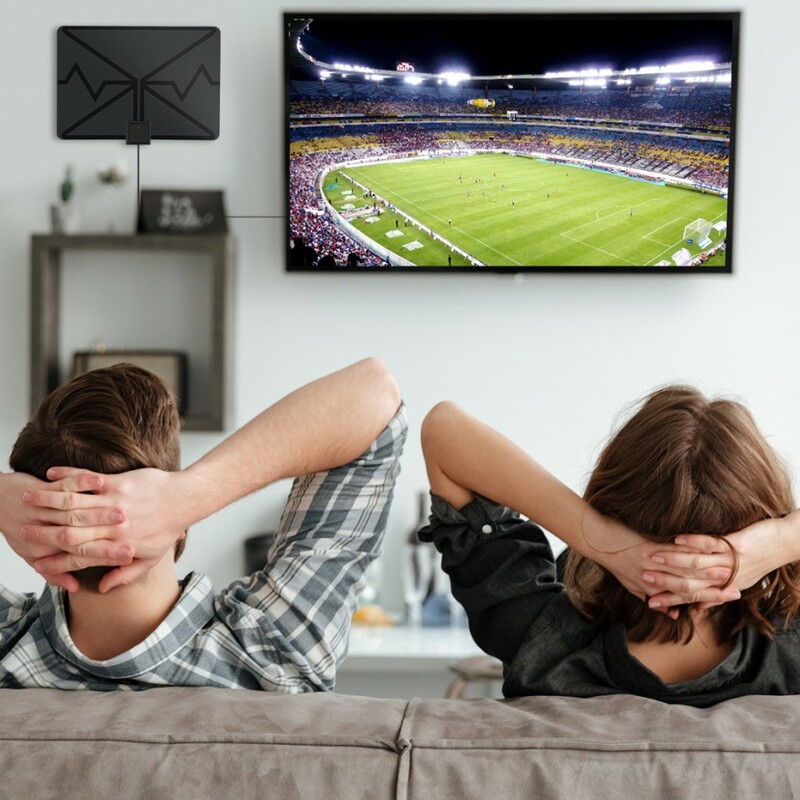 No more need to pay extra bill and makes it easy to watch your favorite shows — minus the messy cords and ever-increasing monthly expenses.Even more, with hdtv antenna indoor,the HD picture quality is actually better than with cable or satellite. 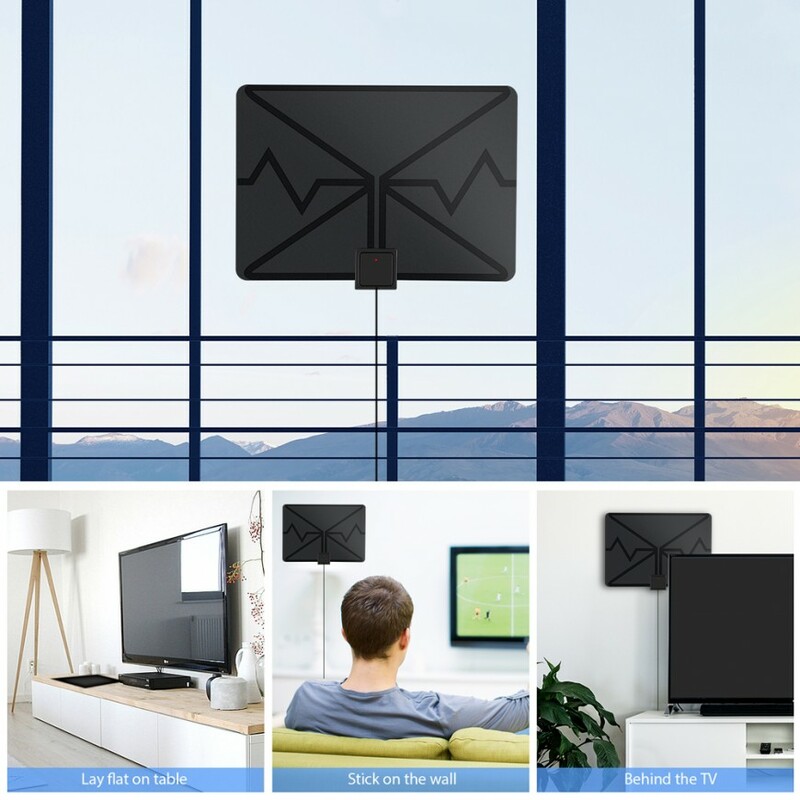 This is an amplified TV antenna.Antenna amplifier provide added range and maximum signal reception for more channels.VERY IMPORTANT. You can Remove the Detachable antenna amplifier if your house is within 10 mile range from the tower. 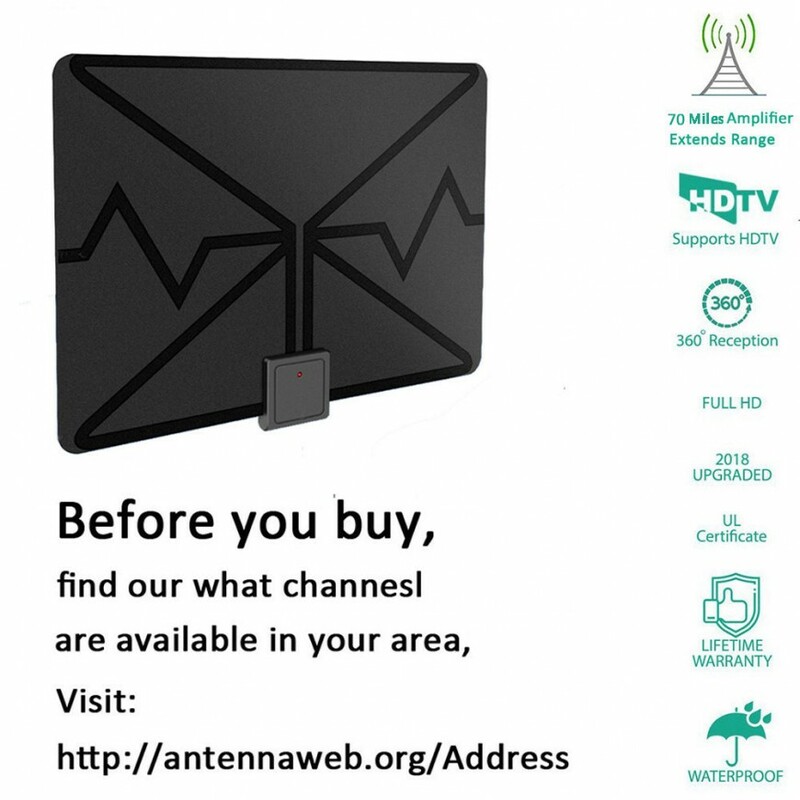 1.Please first visit "antennapoint.com"or "antennaweb.org/Address" to discover how many local channels you could receive in your area. 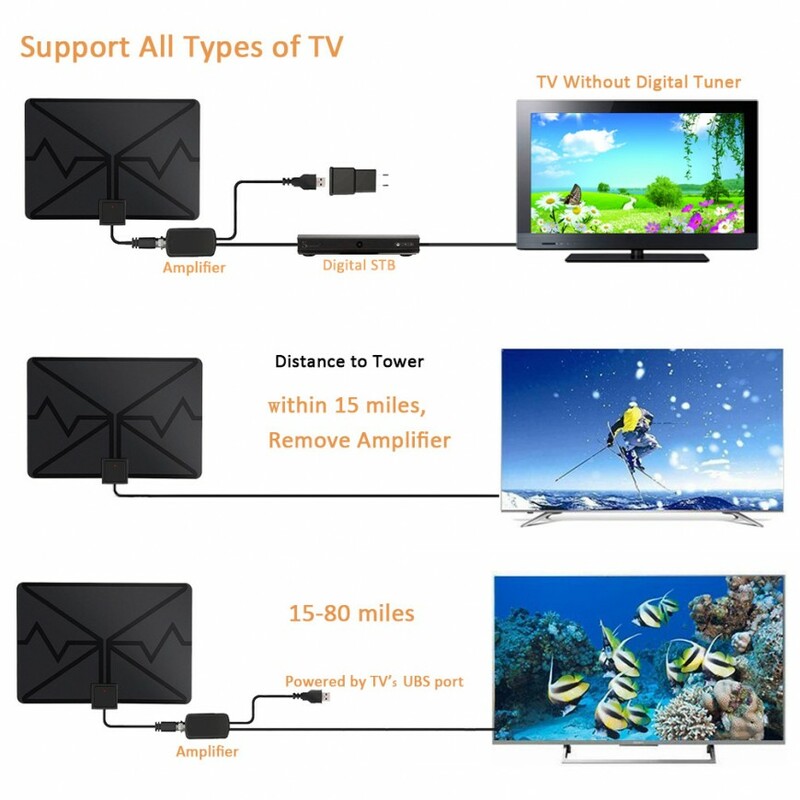 2.If you don't have a digital TV,an external receiver or converter box must be purchased,so that you can use your existing TV to receive HDTV broadcasts. 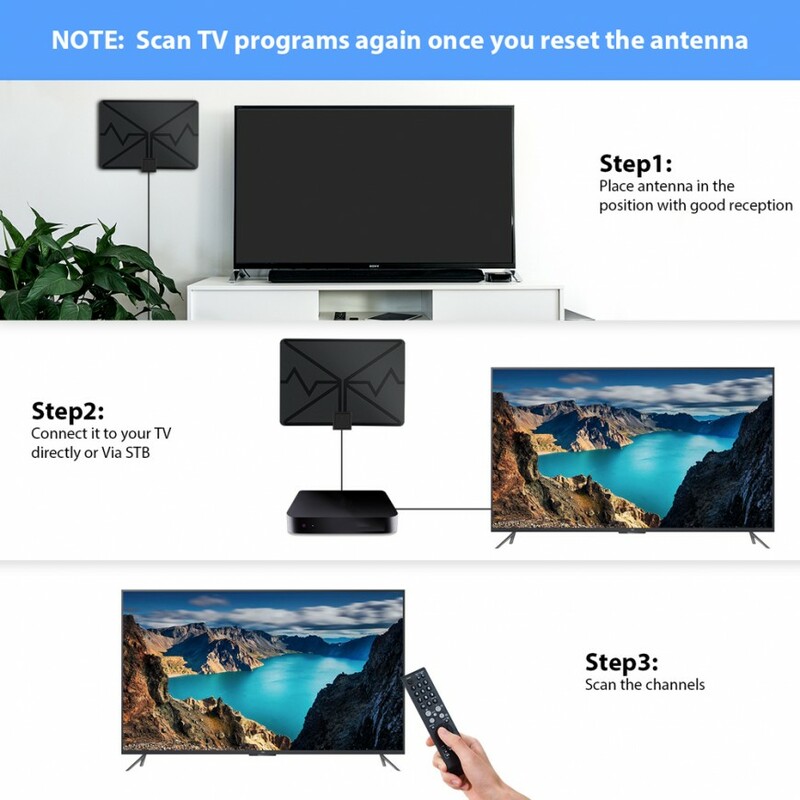 1.Check to make sure you have correctly connected the hd antenna to tv. 2.Try several locations before permanently mounting the antenna to make sure you find the best spot. It is important to run the channel scan with every move of the antenna. 3.Keep away from the sources of interference, such as air conditioner, refrigerator, and microwave oven, etc.